Are you having issues with your PrestaShop site, or need someone to call when you have a question or a bug? You could post to the PrestaShop forum and hope for an answer or a fix. Or you could sign up for one of PrestaShop’s support packages as well and deal with their limitations and slow responses. Or, you can let us support your PrestaShop store. We are experts in all aspects of PrestaShop development and troubleshooting issues related with PrestaShop. We have 4 years in PrestaShop experience, are some of the major moderators on the PrestaShop forums, and have launched over 50 stores while supporting dozens more. We offer a wide variety of plans, our lowest plan features 2 hours of support, the hours in all of our plans are valid for one year from purchase date or until you use all of the included hours. Unlike other companies our plans do not have limits on how many hours or incidences you can use in a month. By purchasing a plan you are moved to the front of the line when you need support. We typically have most support requests closed within the first 24 hours. Our ticket system allows you to submit tickets 24 hours a day, 7 days a week unlike our competitors. Also we support all versions of PrestaShop as well, if you have an older version and need support, no problem. Our developers have worked with PrestaShop for years and we are familiar with all versions. Did we mention there are perks? We have partnered with companies that offer PrestaShop modules, themes, and services that are related to PrestaShop. When you become a support client you get access to this list of discounts from companies like Template Monster, Presto-Changeo, Crazy Egg, A2, and a bunch more. All support accounts get access to these perks in their dashboard, not only will you have PrestaShop support, but you will save money also. No, our plans are not monthly. You purchase the a time block and you have up to one year to use the time. We have many clients that purchase time blocks and do not use them right away, they keep them just in case an issue comes up with their shop. How quickly do you reply to requests? We respond to most requests within 2 hours. Most of the times with our response is letting the client know that the issue is fixed. Some issues do take longer to fix than that, especially custom work, so we cannot guarantee that your issue will be solved that quickly. What happens when I run out of time? When you run out of time you can choose to purchase more time. There is an option in your account to add more time to your account. We bill our time against your account in 6 minute increments to maximize the work you get for your money. In your account you can track the time you have left and also see what time has been spend on. What is the perks package? What if I want speed optimization and support? We have started offering package deals that come with speed optimization and support hours. You can view the deals here PrestaShop Package Deals all of these deals come with acess to our Perks Package as well. How long does the time last? The time in your account expires one year after the date of purchase. So you have a full year to use your hours, that way you can buy them today and use them later. When you have a support account with us, you get free server monitoring. 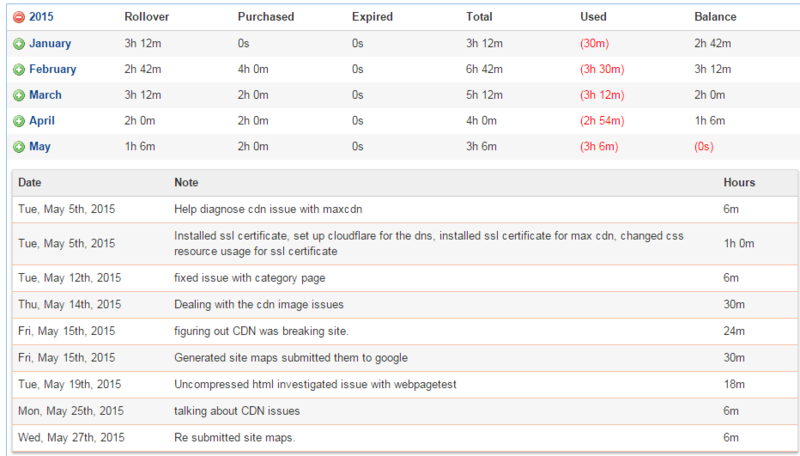 With the server monitoring our system monitors your server and will alert you any time your server goes down. You can also configure the alert to open a ticket with us as well. That way we can check your server and bring it back online.